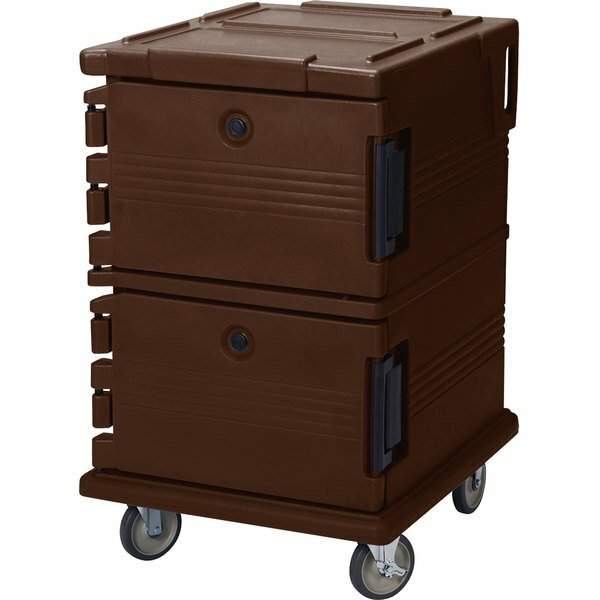 Keep hot food hot or cold food cold for up to 4 hours with the Cambro UPC1200131 dark brown Camcart Ultra. This front loading food pan carrier holds up to sixteen, 2 1/2" deep full size food pans for easy transport to your next catered event. 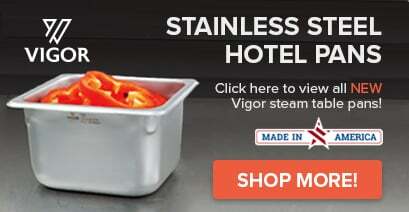 Polyurethane insulation and a removable airtight gasket combine with durable nylon latches to ensure excellent food quality and temperature retention, while molded-in handles allow for easy maneuvering between walls, furniture, and other equipment. Overall exterior dimensions are 32 1/4"D x 28 1/2"W x 45 1/2"H.